The Valley Falls Road Cemetery has a unique feature not found in the other four Tankerhoosen Valley cemeteries. 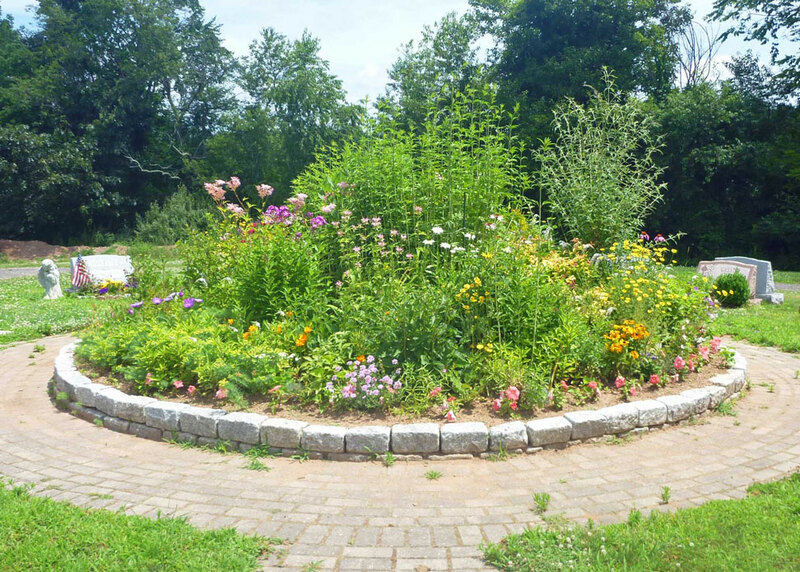 On the east side of the cemetery is a beautiful summer flower memorial garden. 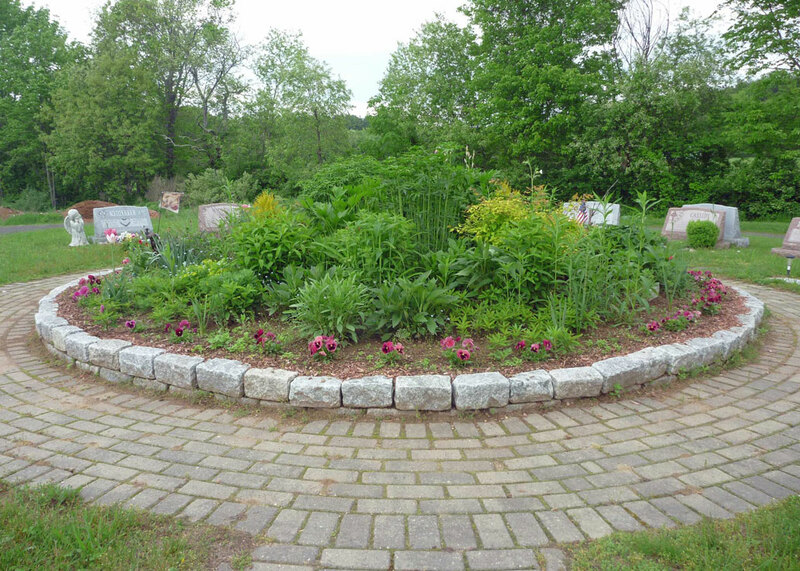 The garden was created and is maintained in the memory of NANCY BALLINGER-OELLERICH by her brother. Nancy did not live in Vernon but chose this cemetery as a final resting place out of love of the area. She lost her life to breast cancer. With the Cemetery Association's permission her brother created this living memorial to his sister. The family loves gardening and many of the plants come from the gardens of family members. 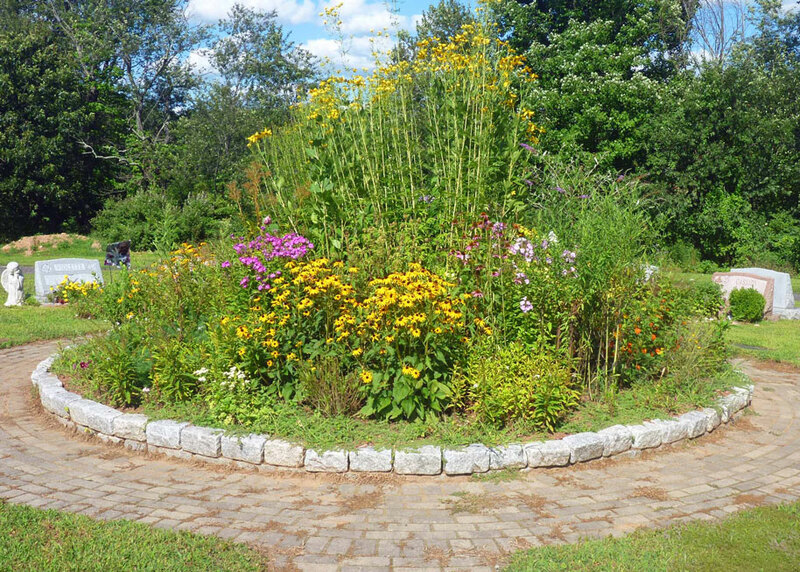 It contains mostly perennials and the colors change as the summer progresses. Along the border are pink flowers for the cause of eliminating breast cancer. 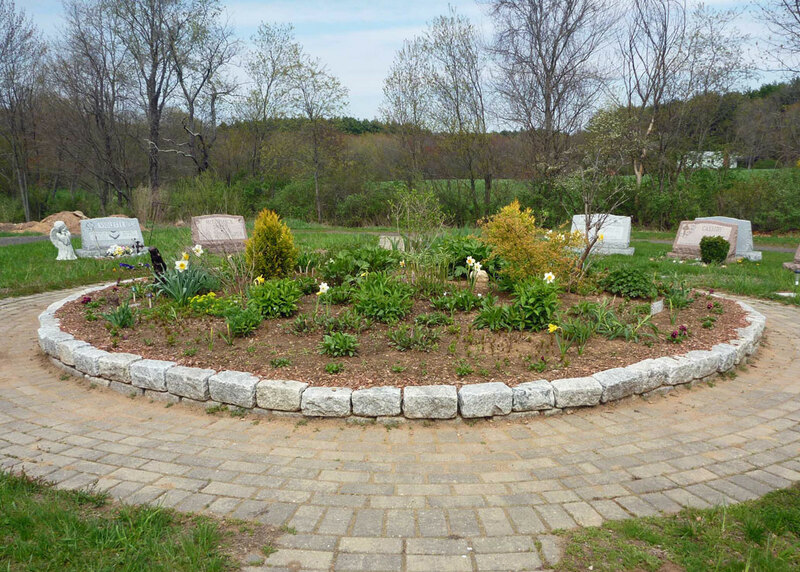 Valley Falls Road Cemetery is the newest in town so is frequented by many visitors and families. The garden is intended to be a reminder of life and is appreciated by visitors. 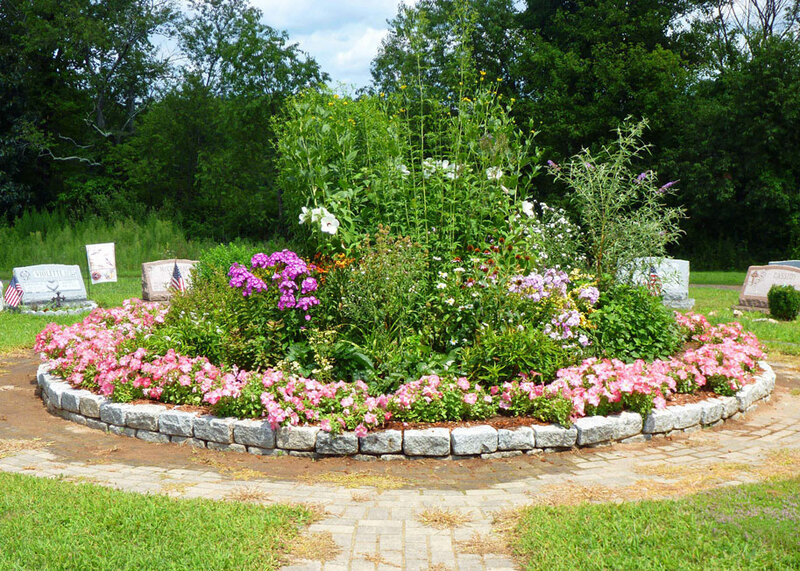 As you drive to Valley Falls Park slow down as you pass the cemetery and take in the beauty of this Tankerhoosen garden. 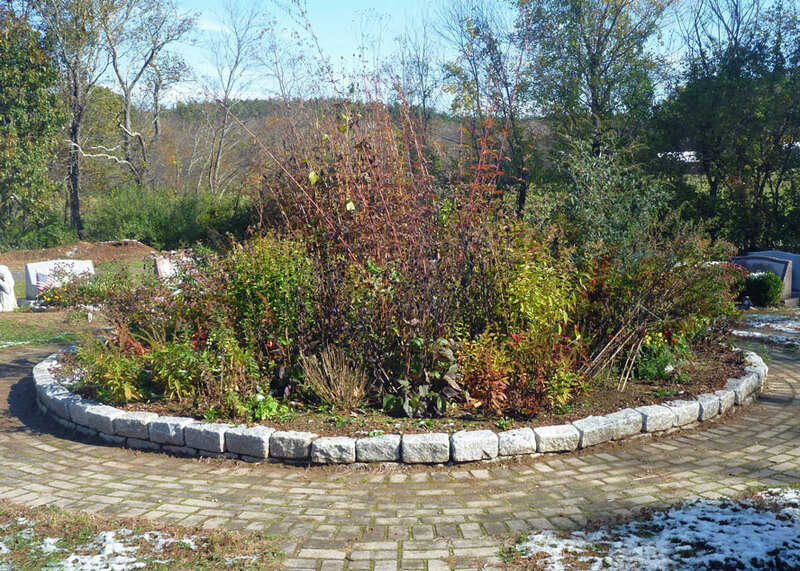 The photos below show the garden through the seasons - as it emerges in the spring, blooms in the summer and fades in the fall to rest and emerge again the following spring. Click on each picture for a larger view.